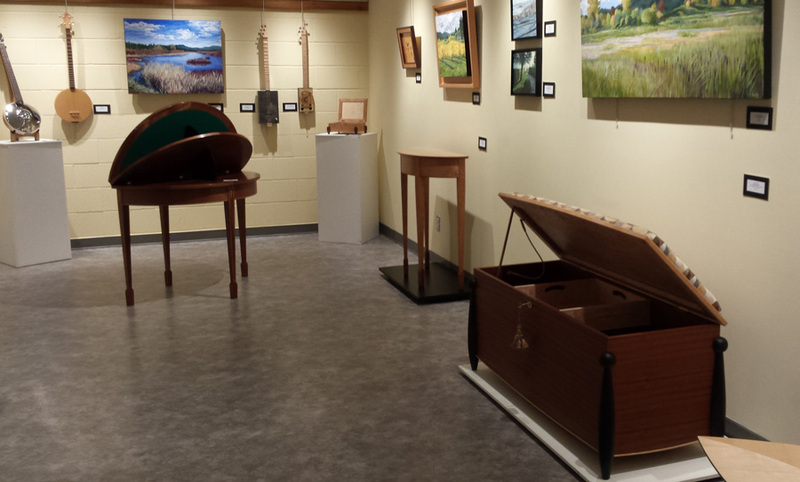 We have now loaded our furniture bits into Portals Gallery in the Performing Arts Centre in Duncan for the next few weeks. We're there until March 23 - hope you get a chance to see everything we've installed; from a the brand new card table Karen just finished building, to an outdoor bench, some musical instruments, little car boxes and furniture for every room in the house. So please come see what we ....saw - OK, OK, bad pun.